Power_init deals with two types of state variables: the Simulink® State variables and the Electrical State variables. The Simulink States consists of the entire set of state variables of a model (including the Electrical states) seen by Simulink software. 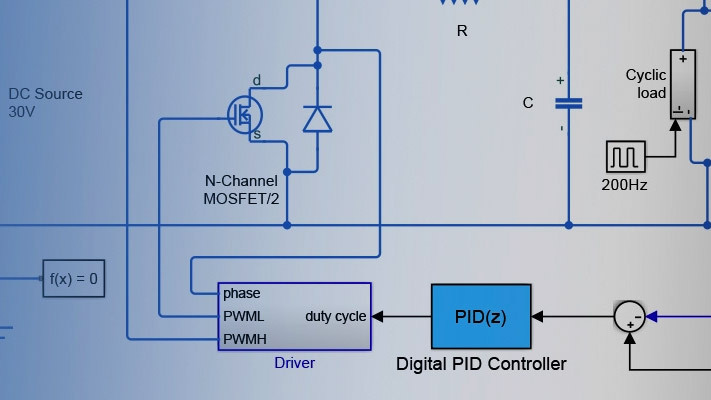 The Electrical States are the particular Simulink states that defines the capacitor initial voltages and inductor initial currents of the Simscape™ Electrical™ Specialized Power Systems blocks of your model. [x0,states] = power_init(sys) returns the initial states values and state names of your model. power_init(sys,'states') displays in a two-column format the initial state values and names of your model. power_init(sys,'ForceToZero') sets to zero the initial states your model. It uses the Data import/export initial state option from the Simulation > Model Configuration Parameters menu in the Simulink Editor to specify the initial state values. Use the ResetToDefault option of power_init to reset the Simulink configuration parameters to its previous settings. power_init(sys,'ResetToDefault') resets the initial state of Simulink configuration parameters to the settings prior to the use of the ForceToZero option of power_init. This option has no effect on system if the ForceToZero option is not used before. power_init(sys,'x0') sets the initial state values equal to the vector specified by x0. The ordering of the states variables is given by the state option of power_init. This option uses the Data import/export initial state option from the Simulation > Model Configuration Parameters menu in the Simulink Editor to specify the initial state values. power_init(sys,'look') displays in a two-column format the electrical initial states names and values of your model. power_init(sys,'reset') resets the electrical initial states of sys to zero. power_init(sys,'steady') sets the electrical initial states of sys to simulate the electrical circuit in the steady state.